Organic Neem Spray - Buy Or Make Your Own Neem Oil Spray? 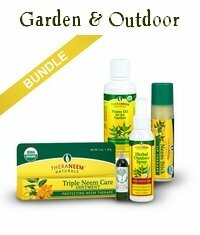 Organic neem sprays protect garden plants from chewing insects and fungal diseases. They also protect people and animals from annoying biting bugs. Neem spray is the most popular and well known use of neem oil in the Western world. Neem oil spray is simply a very convenient way to apply neem oil and take advantage of the many benefits it has for plants, pets and people. 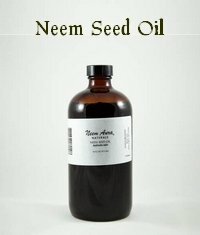 In this section you can learn more about making, using and buying neem oil spray. How does neem oil insecticide work? And does it work at all? Many gardeners claim they prefer standard insecticides... Why? Should you make your own neem oil spray? 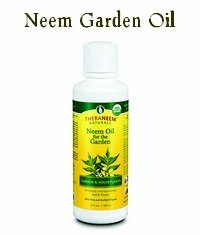 Most garden centres these days carry some ready to use form of neem oil spray. Should you even bother to make your own? Recipes and instructions. Learn how to make your own neem insect spray. Is it safe to spray neem? That's a good question. If it kills insects, is it safe for you? And your vegetables? And what about the beneficial insects?